Are you looking for an experienced and well qualified attorney who will listen to you when your employer, L&I or even your doctor's won't? Are they sending you to Independent Medical Examiners of their choosing who are anything but independent? Are they cutting off treatment and saying you are able to go back to work before your treatment has concluded, and you are not able to return to work? Has your employer fired you because you filed your claim or in their eyes it is "taking too long"? Does the process seem complex, stacked against you, or overwhelming? If you answer yes to any of the above, then you likely need an attorney who is not intimidated by the cost-cutting tactics used by L&I and employers. Thaddeus has 12 years of experience recovering benefits for injured workers. Contact me today, so I can help you get on the path to recovery and fair compensation. Thaddeus D. Sikes, WSBA No. 34203 Sikes Law Firm, Inc.
We work on a contingency. If you don't get paid, we don't get paid! Most personal injury law firms primarily represent persons injured in motor vehicle collisions, slip and falls, and other torts. For work comp claims, these firms do not specialize in workers' compensation cases, thus they do not dedicate equivalent time and resources, and they do not offer the same level of expertise and service that they give to their primary cases. I am a Workers' compensation attorney with 17 years experience specializing in representing workers injured on the job. I don't dabble in L&I claims. I don't delegate the work to paralegals while my focus is drawn to other areas of law. I'm motivated to maximize your benefits and reduce your costs. If you want an attorney with the workers' compensation expertise to challenge L&I's bureaucracy, and the willingness to fully commit his time and efforts on your case, then please give me a call. (253) 303-2044. 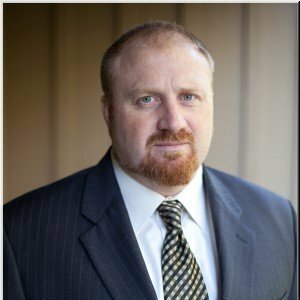 Thaddeus specializes in workers' compensation law, fighting for the rights of injured workers trapped in an L&I bureaucracy captured by employers who exert inappropriate influence through their multiple agents and representatives, adjusters, third party administrators, retro groups, and defense attorneys. The balance of power has shifted to employers and LNI, to the overwhelming detriment of workers. Thaddeus has dedicated his education, training and life's work to resetting the balance. Thaddeus received his law degree from Seattle University School of Law in 2002, and subsequently obtained his license to practice in the State of Washington in 2003. He exclusively represents injured workers in all phases of litigation including cases before the Board of Industrial Insurance Appeals, King and Pierce county superior courts and the Div. 1 Court of Appeals. He has successfully pursued cases that resulted in published Court of Appeals opinions in Washington and Alaska. As a result of his successes as a litigator fighting to uphold the rights of injured workers, Thaddeus is a well recognized and highly-regarded advocate in the workers compensation field. Before becoming an attorney Thaddeus performed a varied list of real-world jobs (yes, he actually used to work for a living) from working on his family's orchard, to working as an Alaskan commercial fisherman. He's also been injured on the job and forced to change careers because of it. He's a proud veteran of the U.S. Coast Guard. Because of these experiences, Thaddeus understands what it's like to put his body in harms way for the benefit of the employer, only to have the employer abandon him when he can no longer perform like he used to due to injuries sustained while working. Thaddeus stands strong and true before L&I, judges and juries and is a true advocate for his clients.